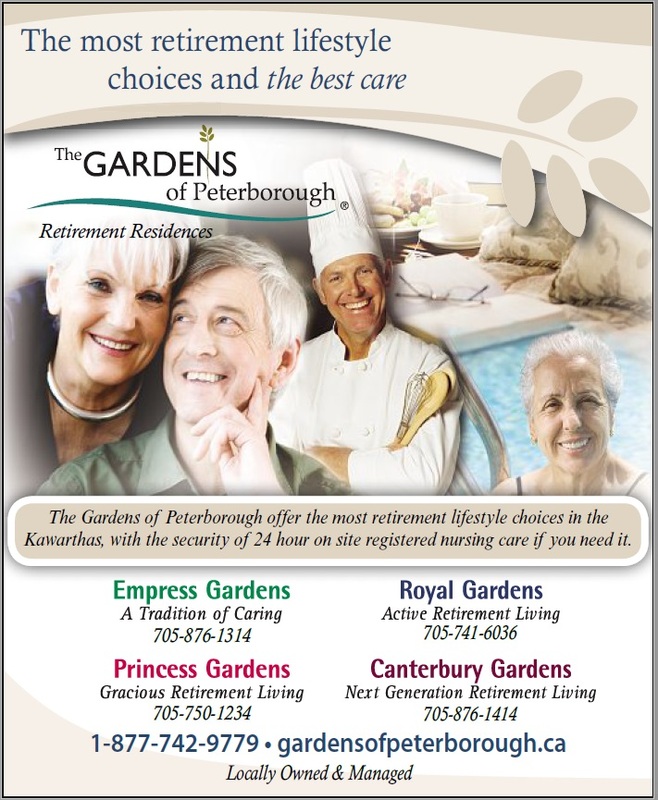 For gracious, resort-style living, Princess Gardens is the premier retirement community in Peterborough and the Kawarthas. If you are looking for spacious sun-lit suites, breathtaking riverfront views, and convenient year-round indoor access to a shopping mall, Princess Gardens is the right choice for you. Ideally located in downtown Peterborough, enjoy the lifestyle you have earned. Attached to the Peterborough Square mall and adjacent to the Otonabee River and the Millennium Trail, within one block of Princess Gardens you will find theatres, restaurants, banks and everything you need to stay active, involved, and independent. Princess Gardens prides itself in offering a full range of Lifestyle Options, with 24 hour on-site registered nursing and personal assistance if you need it. Short-term Respite and Convalescence visits are also available. 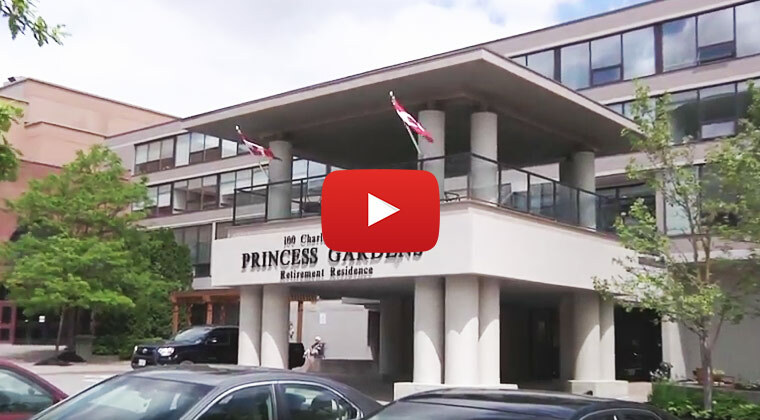 Princess Gardens is designed with today's discerning, active older adult in mind. You will be delighted with the park-like setting, including beautifully landscaped grounds and flowerbeds. The tastefully decorated interior boasts many comfortable and unique lounges and common areas, one of which is sure to suit your individual tastes. For instance, in the main floor "Garden Lounge", you and your guests can meet for a chat, make plans, enjoy a game of billiards or just sit and visit in the cozy, warm atmosphere. You are sure to find Princes Garden's spacious Atrium one of your favourite places to be. This innovative 8700 sq. ft. indoor park is a lovely focal point for our community. The perfect place for social events, games, and gatherings of any sort, the three-story Atrium is host to regular Special Events such as concerts and "Senior Prom" dances. The beautiful street-scaping provides the perfect setting for those who are inclined to do some active walking or enjoy the beauty of nature all year round. You may also choose to enjoy the view from the licensed Peter Robinson Lounge. Relax and enjoy the cozy atmosphere while sharing refreshments and snacks with friends or guests. Dinner is a special time at Princess Gardens. Dine in the tradition of a fine hotel, but with the flavour and personal touches of home. Our qualified chefs and well-trained staff are always ready to serve you with a smile. Enjoy our broad menu prepared with the freshest ingredients in our own kitchen. Invite your family to join you in the beautifully appointed dining room or entertain privately. 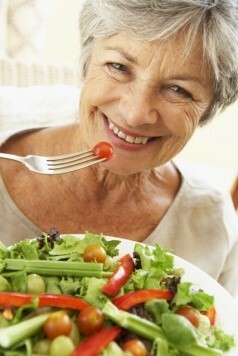 Please visit our Dining section to find out more about the dining experience at Princess Gardens. Located on Charlotte Street, near Water Street, Princess Gardens has everything you need to live how you want to live. All of our suites are bright and cheerful, with breathtaking views of the Otonabee River or the "Royal Park Atrium". Indoor parking is available. Explore our Programs & Services section to find out about housekeeping, laundry, and the many other services for your comfort at Princess Gardens. Click on our Amenities section to find out more about our facilities and security features, including emergency response systems, monitored entrances, emergency power generator and fire safety features. Princess Gardens offers a variety of spacious floor plans, including studio, one-bedroom and two-bedroom suites, and the deluxe Riverside apartment suites (see below). Short-stay trial visits are available. You can even invite your family and friends to stay in our guest suite. Only at Princess Gardens will you find the luxury of our exclusive Riverside Suites. 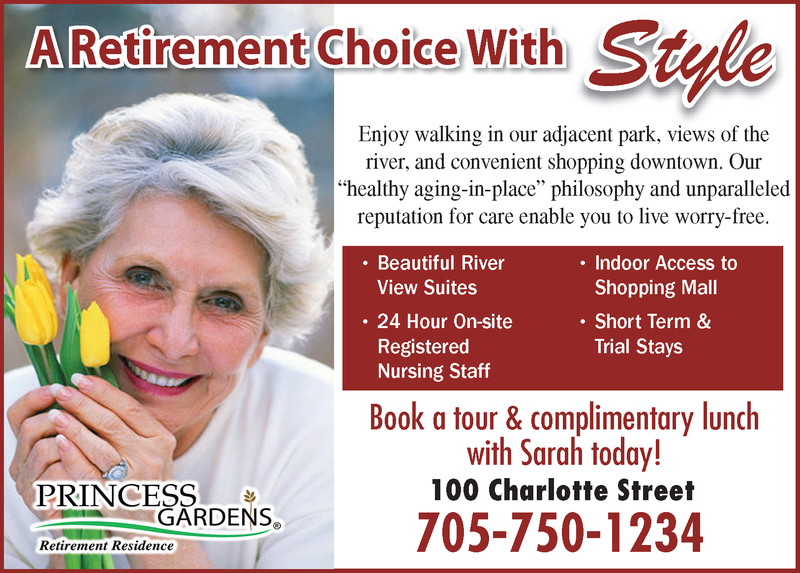 Located on the ground floor, with private patios and an unparalleled view of the adjacent river and park, the Riverside suites, offer the largest luxury apartment suites of any retirement community in the Kawarthas. Bask in the sun pouring in through the oversized windows onto hardwood floors and between 1,200 and 1,600 square feet of luxurious space. Nestle in front of your own gas fireplace, settle into a warm Jacuzzi bath, or prepare hors d'oeuvres for guests in your tasteful kitchen. In the Riverside suites you can maximize your independence and still have access to the security and services that Princess Gardens is renowned for. You will have full access to our dining, housekeeping, and other services. And if you need it, our on-site registered nursing staff is available to you 24 hours a day. Thank you for your interest in Princess Gardens. We look forward to showing you around our lovely community to give you an inside glimpse of the lifestyle that awaits you here. Please Contact Us if you would like further information. Click the image below to watch a virtual tour of Princess Gardens.